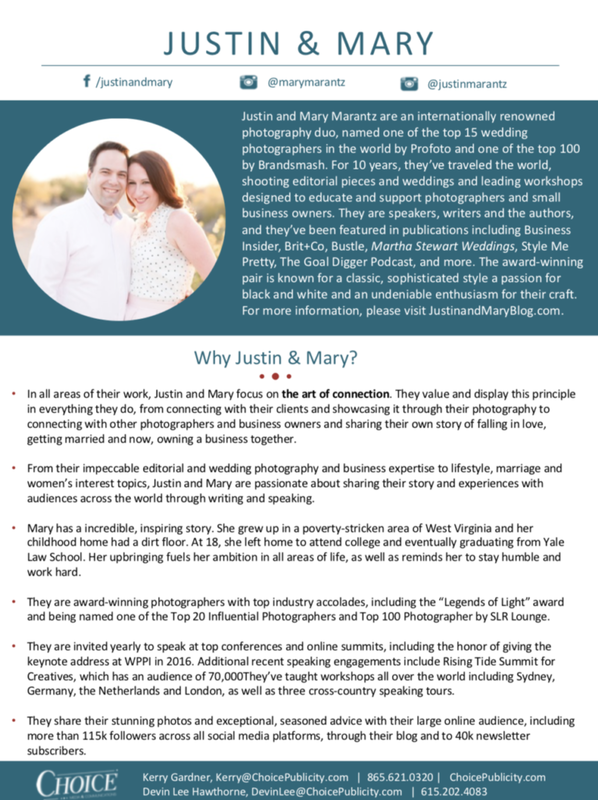 Justin and Mary Marantz are an internationally renowned photography duo, named one of the top 15 wedding photographers in the world by Profoto and one of the top 100 by Brandsmash. For 10 years, they’ve traveled the world, shooting editorial pieces and weddings and leading workshops designed to educate and support photographers and small business owners. 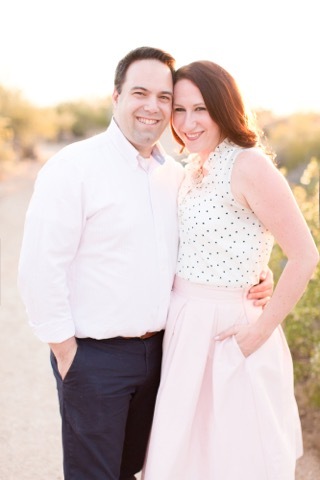 They are speakers, writers and the authors of The Guide, and they’ve been featured in publications including Martha Stewart, Style Me Pretty, and more. The award-­winning pair is known for a classic, sophisticated style a passion for black and white and an undeniable enthusiasm for their craft. 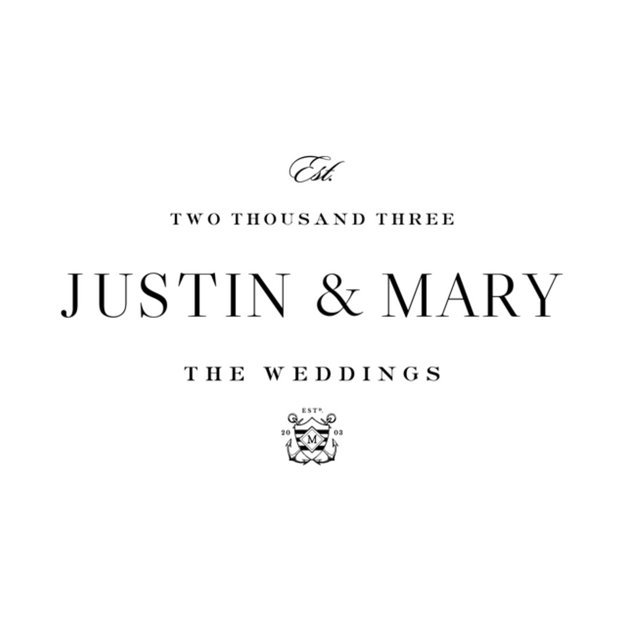 For more information, please visit www.JustinandMaryWeddings.com.